Well as many of you know I ADORE the King of Nothing. Like any good crutch he needs a running mate though. I hope you've been reading about my delve into the Heretic over on Discount Games Inc's Blog. I'm going to continue that quest, but I'm also starting up the other caster I've been dying to play, the Dreamer. 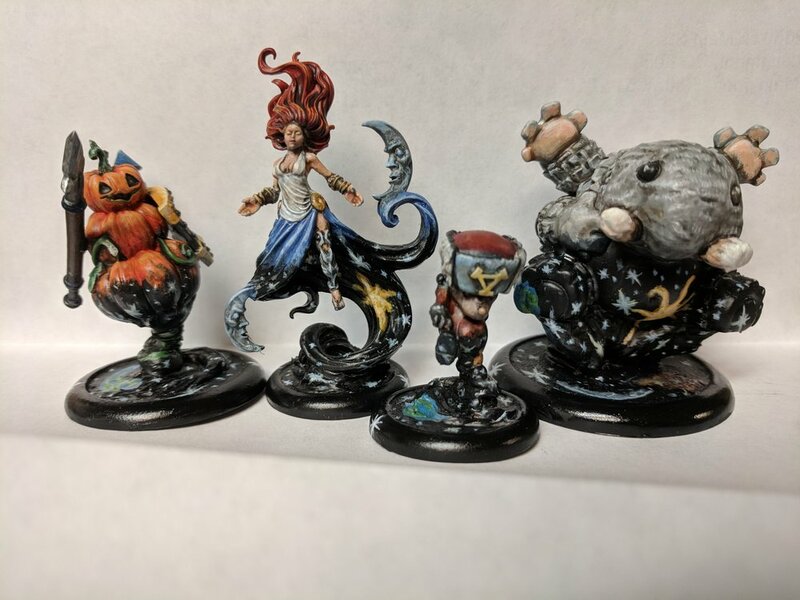 I did a caster review of the Dreamer to provide a little context. I thought today we'd go over why she's in the running, and what I'm currently testing her with. Let's start off with what I'm looking for. I want a solid running mate for the King of Nothing. I feel pretty comfortable playing the King into almost anything. The most glaring exception is the BoogeyMan of the Meta, Denny1 Ghost Fleet. This isn't a matchup I can realistically hope to dodge, so at least one of my lists needs to be able to handle it. I want a caster who's running Dark Menagerie. I love my King bump list, but I want the dichotomy of the pair. I want my opponents to have to worry about an infantry swarm, and a beast brick. Lastly, and possibly most important. I want a caster I enjoy playing. The objective of the game is to win, the point of the game is to have fun. I really think the Dreamer checks all these boxes. She's incredible deep with a lot of tricks. The Phantasms alone bring a lot of active decisions during the turn. With her spell Manifest Destiny, she can buff her entire battlegroup in melee. And last but certainly not least, I really think she has game into Ghost Fleet. So I'm going to run the Dreamer in Dark Menagerie. I think the combination of the double Skin & Moans, double Cage Ragers, and the Death Knell are the foundation to any Menagerie list going into Ghost Fleet. Why you ask? High armor with decent boxes. The mass number of low to medium pow attacks Ghost Fleet brings should have issues with us. RFP in melee. Both the Cage Rager and Skin & Moans have RFP on all of their melee swings, once we're stuck in this should ensure we win the attrition war. Spell protection, the Cage Rager's Arcane Vortex allows us to rely on our high armor staying decent! Magic Weapons on the Cage Rager, and they have the WraithBane animus. Okay so here's the list, and my thoughts on why things are in there. 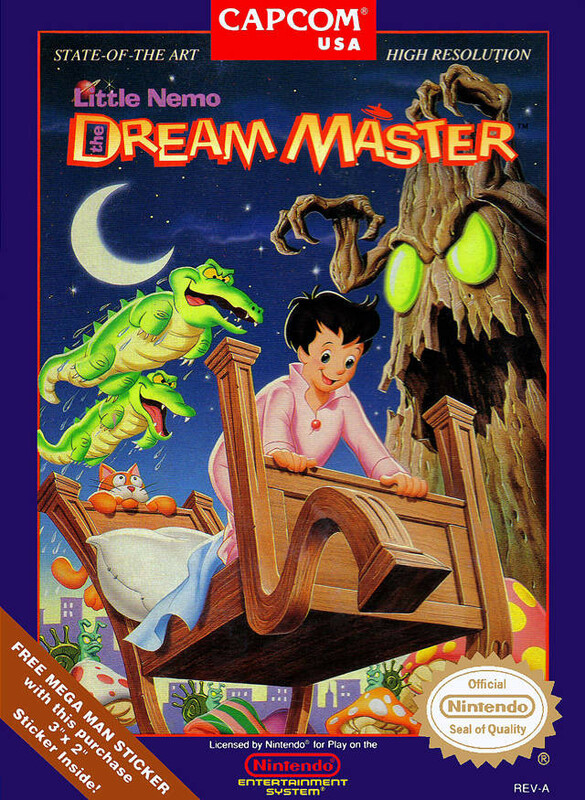 Side note, does anyone else remember little Nemo? Magic Weapons, Wraith Bane, armor 19+, Arc Node, and Arcane Vortex. The theme does SO much for them. Counter Charge, more importantly he's a second line hitter with Berzerk and Overtake. Manifest Destiny helps his biggest issue, his mat. I love the Animus enough to take it. See in the Dark allows the Dreamer to threaten Denny even on her feat turn. The Dreamer can go incorporeal every other turn. That being said shield guards are still going to be needed. She's 15/14 with 15 boxes, so only marginally more survivable than the King himself. We wouldn't have a brick without Warmth of the Grave. The entire army wheels around this piece. Okay, I know I dropped rose for Eilish. I'll go into more details later, but I wanted upkeep removal, and puppet strings. Fuel for the Death Knell. Also I want at least one unit for scenario play. The plan is very similar to that of the Heretic's. We're going to brick up, and hope people can't crack the armor we're presenting. In games with limited magic weapons the Gremlin Swarms will help us set the line of engagement. Mirage, on the Cage Rager helps extend the Abyssal Gate threat. Eilish helps ensure that the Dreamer hits when she really wants to. Between Abyssal Gate, Enfeeble and Call to Sleep she's going to be making "critical" attack rolls that I really want Puppet Master on. We're not the fastest list. We're likely going to get down on scenario to start, but we are going to be damn hard to remove after than and will climb back into it. Use the gremlin swarms safely to contest, and when possible control areas. With Abyssal Gate and Bulldoze try to sneak back control points when you can. This list isn't going to win pretty, or early. But if we're still in the game on turn 4 we should hopefully be winning. I'm only a few games in but I love the resilience of the list. With the Dreamer as the defilier it's also a lot more flexible than the Heretic version, without giving up much survivability. Keeping the Gremlin Swarms in artifice means pistol wraiths struggle to hit them unless they have souls. Phantasms. The ability to create models in Denny's control area that can run on her feat turn is huge. We can contest scenario pieces other lists flat out couldn't. In addition Denny has to honor our ability to create an arc node and threaten her with a pow 12 or two. All Fall Down. Specifically into Denny1 GF I really like knocking her down when she venoms a Gremlin Swarm. The Frightmare can walk 6 and shoot her, and the dreamer can cast See in the Dark and arc onto her. Denny is the weakest link in Denny1 gf, make the Denny player have to think to keep her alive. Eilish. LOSWarmchine wrote up a nice piece on him. Puppet Master on Abyssal gate is huge, we need it to hit, and damage. Future sight helps a lot, but Puppet Master is a welcome safety net. In addition he brings an upkeep removal that's easier to trigger than "mittens" (large phantasm) exploding near my own units. Do we need Rose? the Skin & Moans can get to PS 19 plus Manifest Destiny. I don't think we'll be tearing things up like we do with Heretic's Fury or the King's Scything Touch but I think we'll be ok. Worst case I fit her into ADR and ensure I have an easy avenue to sub her in. Fury Management. Rose obviously helps with that and she's not in here. I'm running a lot of beasts, and when engagement happens they go hot! Can I successfully run that many using only serenity as my fury buffer? Arcana. There are a ton of Arcana options with this list. There are so many different matchups and arcana pairs it's hard to list them all let alone test them all. With the Dreamers lower command I've tried not to use Shroud as much. Accursed has been a game changer a few times, and Desolation plus Artifice of Deivation can be back breaking if your opponent didn't bring pathfinder. So far I'm really enjoying the Dreamer. She's a lot more "fun" for me than the heretic, and yielding similar results. What have you guys been running with the Dreamer? Any secret ghost fleet tech I'm missing?